Asthma and allergies are the most common chronic childhood diseases. Asthma affects nearly 5 million American children, while allergies affect about 50 million. Many children with asthma miss out on school, sports, and other childhood activities. It is important for family members to learn how to identify and avoid asthma and allergen triggers, recognize and present asthma attacks, understand medications, and help manage symptoms. The Children’s Regional Hospital at Cooper is pleased to bring parents this information on asthma and schools. 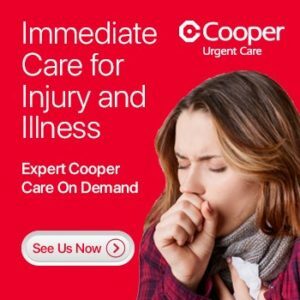 At Cooper we have wonderful allergists, Maria Lania-Howarth, M.D., and Faina M. Gutin, M.D., who specialize in allergy, asthma and immunology and treat both children and adults. 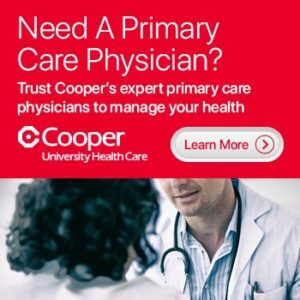 If you need an appointment for your child or someone else in your family, please call our Physician Referral Staff at 1-800-8-COOPER. Children spend a significant part of their day at school. That is why it is so important that asthma symptoms are well managed while they are there. It is also important that you are aware of your child’s symptoms and any problems with how your child’s asthma is managed in school. Missing school due to asthma symptoms or doctor visits. Avoiding school or school activities. Work with your health care provider and school personnel to encourage your child to participate in school activities. Not taking medication before exercise. Your child may avoid going to the school office or nurse’s office to use his inhaler before exercise. Schools that allow children to carry their inhalers with them can help avoid this problem. Side effects from medication. Some asthma medications may alter your child’s ability to perform in school. Teachers need to know if and when your child takes asthma medication so that you can be notified if there are any problems. Physical activity is important for your child’s physical and mental health. Children with asthma should be able, and encouraged, to participate completely in physical education, sports, and other activities in school. All students should have some knowledge of asthma basics and management. Encourage your school to offer asthma awareness education as part of the health education curriculum. Good communication is essential to asthma care and management in school. The school needs to know about your child’s asthma, how severe it is, what medications your child takes, and what to do in an emergency. This communication can be helped by having your health care provider complete an asthma action plan for the school, as well as a medication permission form that includes whether your child should be allowed to carry and use her own inhaler. You should also sign a release at school and at your health care provider’s office to allow the exchange of medical information between you, the school, and your health care provider. Your child’s school needs to communicate to you its policies on how your child will get access to her medications and how they deal with emergencies, field trips, and after-school activities. The school should also inform you about any changes or problems with your child’s symptoms while he is at school.